We just celebrated Lily’s birthday. Like all parents, I can’t believe that she is already two years old. 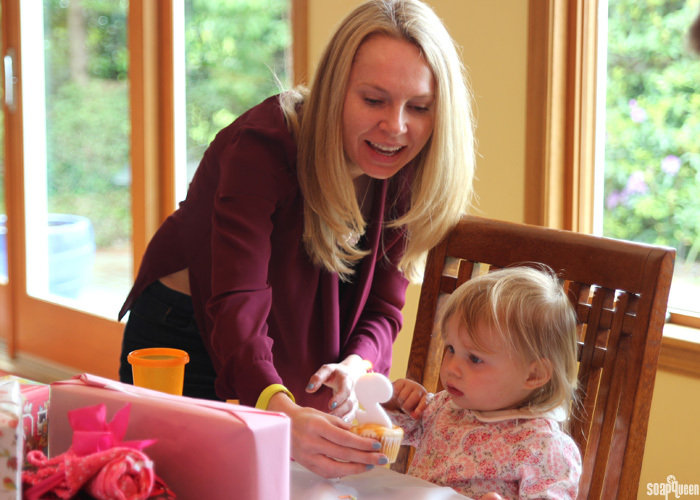 It seems like just yesterday that she was a newborn, sleeping in her carrier next to my desk in the Bramble Berry offices. It has been ridiculously fun to watch her personality emerge. She is the sweetest, most happy baby and makes Chris and I smile every day with her charming temperament. To celebrate the occasion, I made butterscotch, butterscotch, butterscotch cupcakes. Butterscotch is a family favorite thanks to my dad (you can read about his love for butterscotch here). The cupcakes were a combination cake mix and homemade ingredients. They were easy to make (though were multiple steps), and most importantly, tasted amazing! 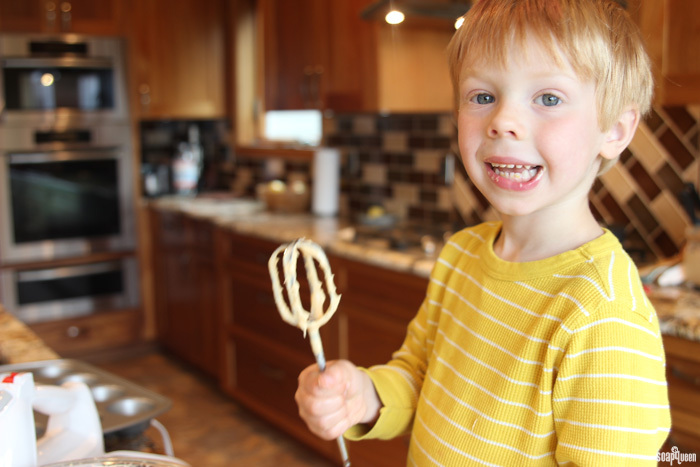 Jamisen was happy to help in the kitchen…especially if it meant licking the cupcake batter from the beaters! It’s fun to watch him become more interested in cooking and baking. He is becoming quite the little sous chef. Jamisen and his grandpa sure love butterscotch! I plan on creating this butterscotch butterscotch cake for Father’s Day…be on the lookout for an updated blog post! Baby cousin Alise joined the celebration. I love that Lily and Alise will grow up together. Below, my mom and Alise snuggle up together. The kids are remarkably good with baby Alise and Lily just loves that there’s a new baby to play with. Alise just started crawling this last weekend so that was fun to see her explore with confidence. She mostly crawls towards food. 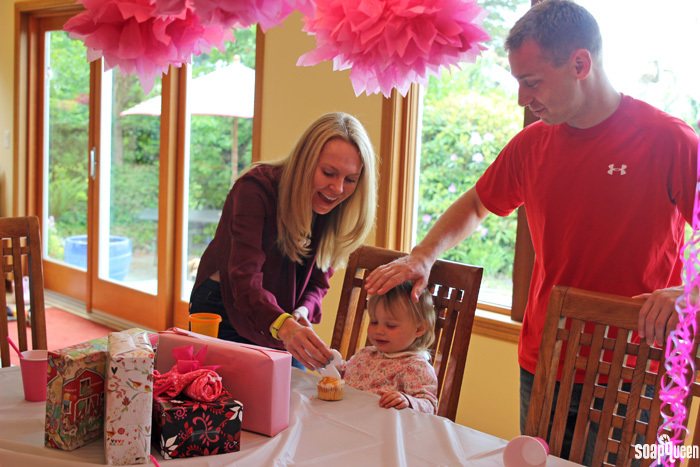 Lily was a little confused by her candle, but thoroughly enjoyed the cupcake! Once she understood that in order to eat the cupcake, she had to actually blow out the candle, she was all-in! We did try to get the kids to eat healthy food before cupcake time. Whenever I’m having lots of people over, I always make quiche. It’s fast and easy to prepare and best of all, can be prepped ahead of time and frozen. 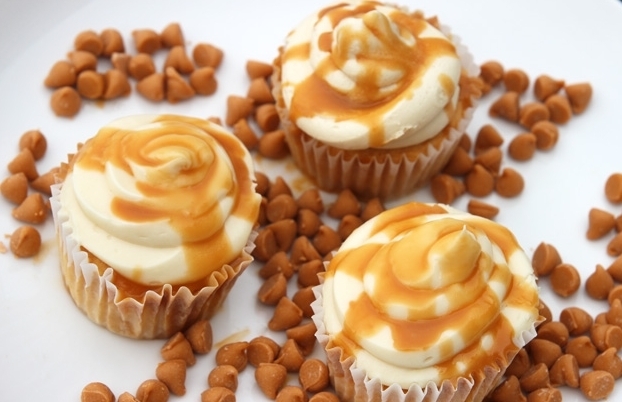 And now, for the butterscotch cupcakes! This cupcake recipe is fantastic because it combines a cake mix with homemade ingredients. The cake mix saves time, but still full of flavor thanks to the addition of (wait for it, cream soda and jell-o pudding mix!). In addition to drizzling the top of the cupcakes with the homemade ganache, I placed a small spoonful in the center of the batter before baking. This made the cake extra moist and infused with butterscotch flavor. Yum! ONE: In a small saucepan on medium heat, melt the butterscotch chips into the heavy cream, stirring until smooth. Remove from heat and cool to room temperature before using. ONE: Preheat oven to 350 degrees F. Line 2 muffin tins with about 18 liners. Set aside. TWO: In a large bowl, combine the cake mix and the soda to best judgement. 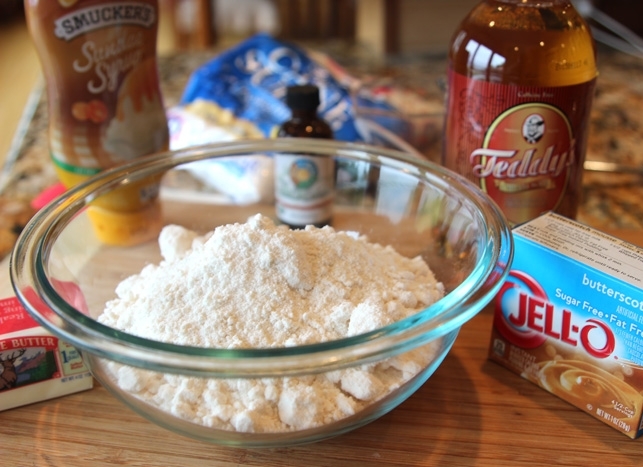 Add the soda bit by bit and keep mixing until you get a cake-batter-like consistency. Add the soda slowly. You can add more but can’t take it out if you add too much. Beat with an electric mixer for about 2 minutes or until well combined. Stir in the butterscotch pudding mix. Evenly distribute the batter among the muffin tins, filling about ⅔” full. Add a spoonfull of the butterscotch ganache into the batter. THREE: Bake the cupcakes for approx. 14-16 minutes or until a toothpick inserted near the center comes out clean. Cool completely. 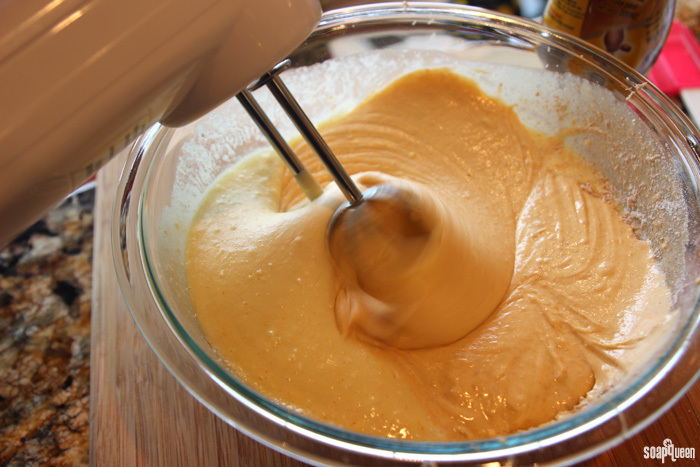 FOUR: In the bowl of a stand mixer, beat together the softened butter, butterscotch sauce and vanilla until creamy. Gradually add the powdered sugar, about one cup at a time, until frosting is light and fluffy. I used a ziploc bag with the corner cut off for my frosting bag. FIVE: Pipe the frosting high onto the cooled cupcakes. Drizzle remaining ganache on top of the cupcakes. Serve immediately and enjoy!